This is my last day before I go on a weeks holiday. I'm sure the birds will manage without me! 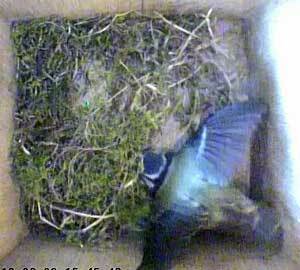 It's now just after midday, and there is still no sign of nest building in Box1. I expect I'll see a great change when I get back on Sunday 17th. Bella, on the other hand, is getting on with her nest building. 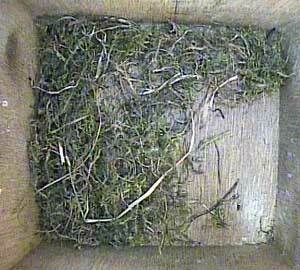 Box2 is slowly, but steadily, being filled with moss, the material our birds have always used most of when nest building. Bella is doing a nesting wriggle. 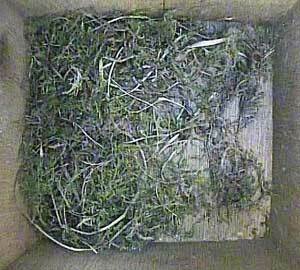 These movements, which seem so pointless in an empty or a nearly empty nest box like this one, create the nest cup when the nest box is full of nesting material. 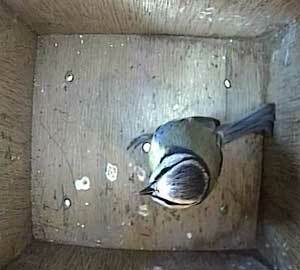 The female makes the nest entirely by herself, so if you see a bluetit doing a nesting wriggle, you know you are looking at the female. At the end of the day you can see that progress is being made. 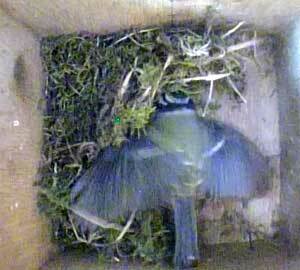 I wonder how complete the nest will be in a week's time when I get back!